If Friday evening’s earlier semifinal between 9th seed Stanford and 5th seed Akron is a bit of a surprise match-up, the night’s later match-up between perennial powerhouses North Carolina and Indiana is the game everyone has been looking forward to. Two very different styles of play face off – high octane offense against shut down defense, both with pedigreed coaches at the helm. The winner advances to the NCAA College Cup Final on Sunday, a spot with which both schools are quite familiar. Expect a scrap to the end, and expect the deserving side to be crowned victor. Indiana boasts the most prolific history of the teams left in the Final Four, if not in all the nation. The Hoosiers have won eight national championships, a record second only to St. Louis who has 10. Moreover, since their first championship, Indiana has won more than any other team – including St. Louis. Though this Cup is a first for many players, Indiana Hoosiers soccer has been here time and time again. This College Cup is the school’s 19th – a national record – and they don’t intend to wait until number 20 for a victory. That’s right. That’s a big fat 0 in the middle of that record. The 2nd seeded Hoosiers are the only Division I team in the nation to close their season out with an undefeated record. The reason for their dominance? Defense. The Hoosiers have only allowed six goals throughout the entire season. That’s only .242 goals per game. For reference, the next closest team, Stanford, has allowed nearly double that at .420. Indiana keeps out even the most dangerous attacks. Of course, a focus on defense does have its draw backs. Indiana falls outside the top 10 in the nation in goals scored per game at 2.09. Nothing to laugh at, but not ideal either. Todd Yeagley knows a bit about Hoosiers soccer. Having previously played for Indiana, Yeagley is now in his eighth season as head coach, consistently taking his squad to the Cup each year. Yeagley and the Hoosiers won it all in his third year. Don’t be surprised if number two comes on Sunday. You can’t have a defense-dominant squad without talking about the keeper. True freshman Trey Muse was a bit of a surprise to some, but the 6’4″ Seattle Sounders Academy product has remained consistent all year. Again, with only six goals allowed, Muse’s record speaks for itself. Sitting in front of the true freshman is a true vet. Centerback Grant Lillard has held a steady back line in all four of his years at Indiana, and he will no doubt do so against UNC. 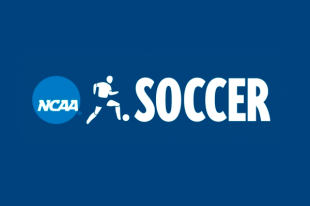 The Chicago Fire Academy product was a semifinalist for the MAC Hermann Trophy – an award given to the best collegiate soccer player – this year as well as last. And again, just for the hell of it. Six goals against. Still, you don’t get to 17 wins without scoring goals. Trey Muse isn’t the only freshman the Hoosiers have relied on. Forward Mason Toye has 10 goals on the season and 22 points with assists. Look for the leading goal scorer to make an impact tonight. UNC boasts its own accomplishments for teams to reckon with. Over the last 10 seasons, the Tar Heels have six College Cup appearances – more than any other team in the nation. Last year, the Tar Heals lost in the same round in which they are about to play, falling to Stanford in penalties in the semifinals. Stanford, of course, went on to win the championship. With one Cup Championship in the last seven years, another finals appearance, and a certain thirst for revenge, North Carolina will most certainly not shy away from the stage. If Indiana is all about defense, defense, defense, then UNC is all about offense, offense, offense. The Tar Heels boast the second most goals scored with 53 and the second most goals per game with 2.52 (equal, by the way, to Wake Forest – the only team with more total goals). That means they have at least the second best offense of the season and far and away the most powerful offense left in the Cup. That being said, North Carolina is known to let one or two in every now and then. Ranked 26th in the nation in goals against – abysmal for an elite team – UNC allows an average of .841 goals scored each game. When Carlos Somoano won the Championship in 2011, he became the second coach in NCAA history to win the title as a rookie coach. Since then, he has taken the tar heels to another final, and four other Cups. Somoano’s pedigree is as stacked as it gets for any coach under ten years. North Carolina’s unmatched attack is comprised mainly of a two-headed monster. Sophomore midfielder Cameron Lindley leads the team in points with 27 – made up of seven goals and 13 assists – a record under Somoano. The Chicago Fire U-18 alum can create just as well as he can finish. Often on the other end of that creation is Alan Winn, the senior forward from Texas. In only 16 appearances this season, Winn leads the team with 11 goals. Winn and Lindley together are a threat to any defense – even Indiana’s. I would be remiss not to mention one of North Carolina’s own defenders, Will Campbell. The true freshman is a member of the Union Academy. Definitely keep an eye on him as tries to stave off Indiana’s Toye. The story of an unstoppable offense versus an unbreakable defense. It would be nice to wrap up this story neatly. Both sides have coaches who have proven their salt. North Carolina has the experience. They have the chip on their shoulder. It would be nice for their veterans to say that the memories of their loss to Stanford drive them past a young keeper who is playing on the biggest stage he has yet seen. But the Indiana Hoosiers have not yet lost a match, and they have not shown any reason they might. In the end, their defense will prove too tough to crack for Lindley and Winn. Between Toye and Indiana’s Trevor Swartz, the Hoosiers will be able to knock one in to seal the match. Another point to add, a what-if. What if Auston Trusty had not signed with the Union and gone on to Chapel Hill?